If this girl could scare Dr. Death, what in the name of Sloth's hairdo did she want with us? "Seriously, Viepe? 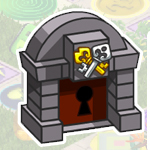 Mystery of the Kougra Paw? You trying to rub it in my face or something?" Viepe shook his head furiously. "No! Never! I just want to see your face when you read it!" Teckno looked the book over, turning it to read the description in the back. Someone has stolen the precious gem and the only clue is a strange shaped Kougra paw print... "How much did this even cost?" he asked. 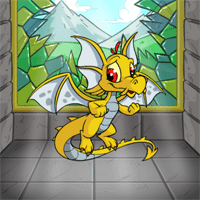 "It's so cheap I only had to spend twelve neopoints on it..."
It's Brightvale Day. The time when the inhabitants of Brightvale get to have fun and celebrate. They have the same fear and hatred in their eyes as the rest of my citizens, but it's dulled down because of their paychecks. I smile bitterly. It's a shame to waste the summer months dreading the heat after you've recently suffered through an entire frigid winter and rainy spring waiting for it, but there is nothing you can do about it. 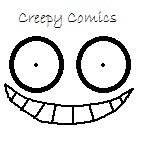 Creepy Comics #1 "Something Fishy". Having fish-themed petpets has its downside... No petpets were harmed in the making of this comic. Enjoy!